Boyd launches two fixture series for 2018 and they're hot for commercial, hospitality and residential spaces. Hello, 2018! 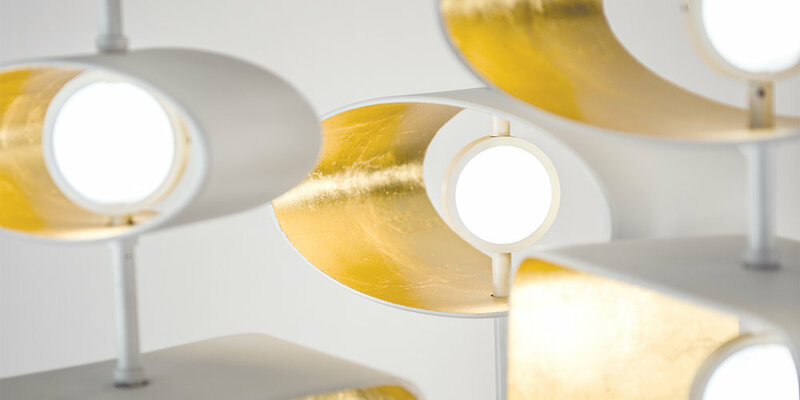 And hello to new fixtures from Boyd Lighting: Elements and Totem. One minimal and the other decorative, both are inherently Boyd, combining style and performance. Focusing on creative and beautiful designs, energy efficiency and the supremely flawless finishes you trust, Boyd’s engineers and craftspeople have come up with two unique options for residential, commercial and hospitality spaces. Four LED in-wall fixtures make up the Element series, cleverly called Wind, Water, Fire and Earth. The narrow, recessed mounted 3' and 4' nominal rectangular boxes each have a unique backplate which reflects the light in its own unique way. Illuminated from the sides by hidden LEDs, the Element is perfect for cooridors, beside vanity mirrors or anywhere that ambient light is needed. 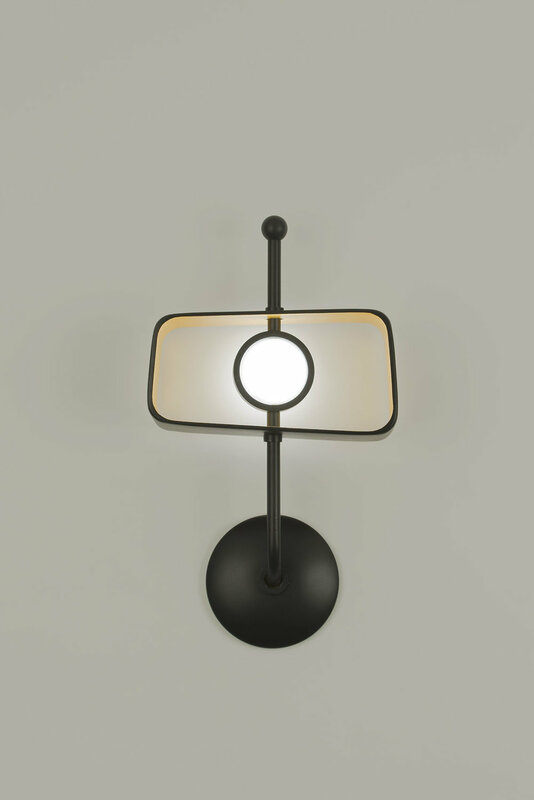 They join our collection of other in-wall fixtures - Portal, Sunbeam and the mirrored Emanation. 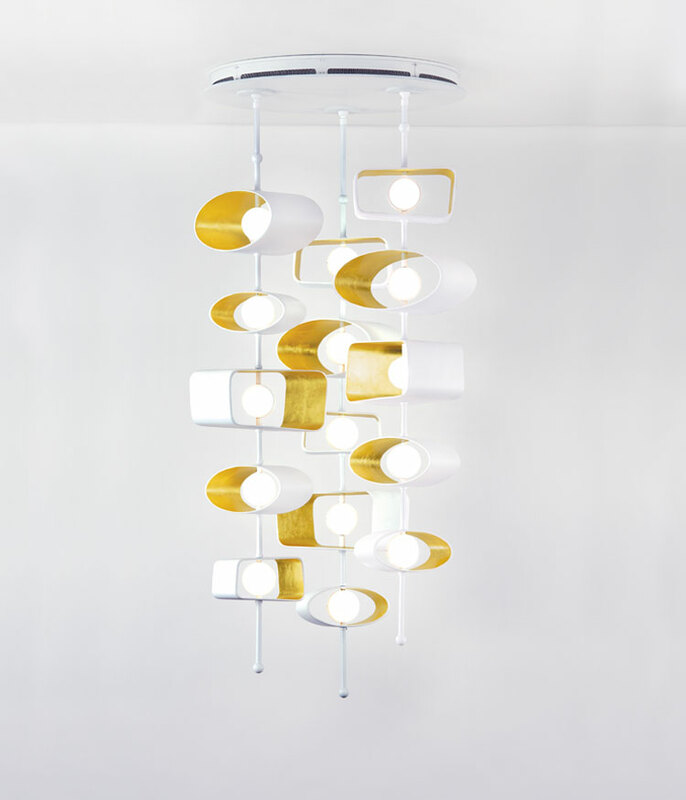 The Totem family reimagines designs from the 1950s and hearkens back to early American modernism. 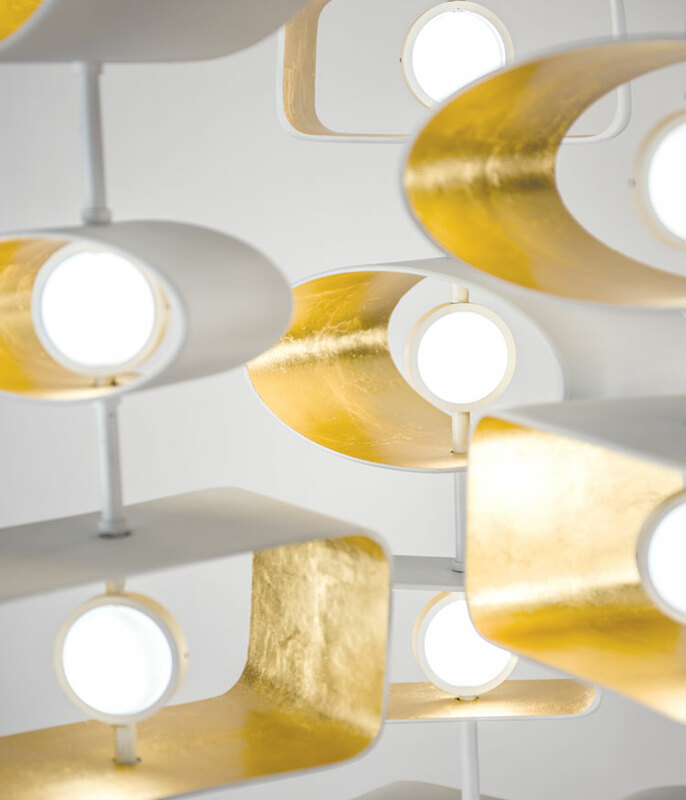 Featuring stacked, adjustable oval and trapezoid shapes, the nostalgic LED sconces and pendants are available in a variety of finish combinations and shape compositions. Perfect for large hospitality open spaces or in private residences. To see the fixtures in person, or to make a purchase, please find the sales rep in your local area.